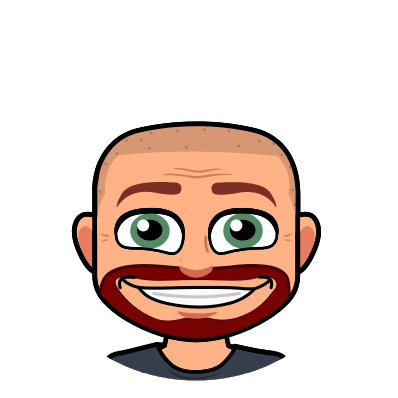 I have written previously about Fakebook, which allows you to create a fake Facebook page. To see that article, click here. Classtools.net has another fun activity that is a bit easier for you to use but can create the same type of feel. the SMS Generator! 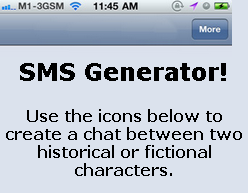 The SMS Generator gives you the opportunity to create a text message conversation between 2 people. It can be historical figures or characters from a book. You could even have different shapes carry on a conversation! It can be used across the curriculum. It is straight forward and simple. You can access from a computer or a mobile device. Use the options below the message field to add conversation bubbles, save your work, share your work, and start a new conversation. Before you can share your work you must save what you have done and create a password to protect it. Each conversation that is created is given it own unique URL. Without the password anyone who stumbles across the site address could modify the conversation. We want to keep it safe. Once the conversation is saved, you have options to share your work. You can copy the URL to share that way. 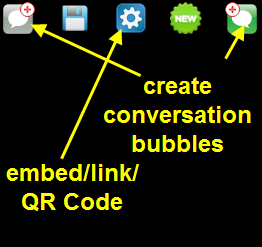 You are also given options to get an embed code to be used on your website or a QR code can be created to link to the conversation. Choose the option that works best for you! 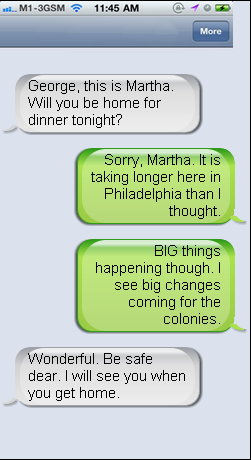 The text message generator is just one more way to allow students to express/share what they have learned. Allow your students to reach for higher level thinking by granting them the freedom for creativity in their assessment. ← Simple Transfer: Transfer Photos and Videos Between iPad and Computer!